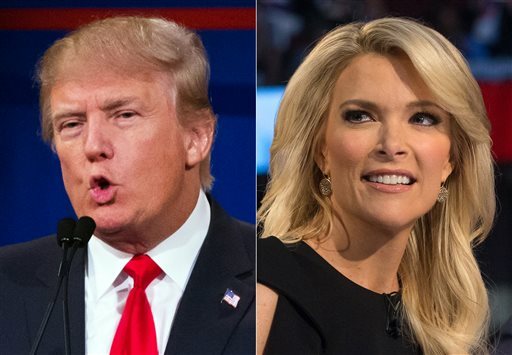 NEW YORK (AP) — Donald Trump resumed his attacks on Fox News Channel’s Megyn Kelly after her first show back following a vacation, tweeting that he liked her show better when she was away. It led to a private, clear-the-air conversation between Trump and Fox News Chairman Roger Ailes, which hasn’t resulted in peace. Trump repeated his contention that Kelly, host of a prime-time Fox show and one of the network’s biggest stars, was sent on an unplanned vacation. Monday night was her first show back after being away. Fox said her time off had been scheduled long before the debate. Trump also tweeted that Kelly was afraid to confront a guest, Dr. Cornel West, and that she had “no clue” on immigration. Fox had no immediate response. Brian Kilmeade, a host on the morning show “Fox & Friends,” said Tuesday that Trump was “out of control” and his comments unwarranted.